Housing Crisis: We have been issuing Newsletters and Special reports for 11 years now warning of the housing crisis. It’s nothing new. The seeds were sown around 2000 when the level of building dropped whilst immigration and the population started to increase at a different pace. It’s a slow motion crisis that is entirely predictable and should not surprize anyone. Supply Lagging Demand: Property investors have realise the difference between insufficient supply and increasing demand in areas in and around London – and have invested in supplying rental accommodation as demand increases. We have to remember millions of migrants have no ability to raise a deposit and/or borrow money from UK banks to purchase expensive property – at least not when they first establish themselves, hence require rented accommodation – enter the Buy to Let investor, providing that service and taking that financial risk. Migration: As waves or new migrants have arrived and also had larger families than the average UK citizen, England’s population has continued to boom. But the response to it by the government and builders has been woeful. Instead of building levels increasing, they continued to decline during the Labour period of 1997 to 2010 and reached a record low just as Gordon Brown was defeated. For example, things go so bad that in Cornwall only 2 bungalows were built that year. Building levels dropped to around 45,000 units a year whilst the population grew by around 400,000. Now the population is growing by about 560,000 a year but building levels are high – they are not nearly high enough to make a material difference – rates are around 140,000 a year. It is estimated just to keep up with demand, there should be at least 330,000 units built a year. Building: One the key issues is that about half the units are needed within a 50-mile radius of London, but only 50,000 units are built – around three times less than required. Is it any wonder that house prices keep rising? Taxing Will Make It Worse: The government response recently has been even more woeful. They have increased demand by supporting Help to Buy first time buyers whilst decreasing supply by taxing Buy to Let Landlords and started to trigger a rental crisis. Yes, within 2-3 years there will be so few rental properties in London that rent will skyrocket because of these new taxes. The government had made a massive mistake and the un-intended consequences are available for all to see – as rents are starting to rise at an accelerating rates since they announced the punitive taxes on Buy to Let businesses. These taxes are bound in our view to back-fire. No other country in the world disallows interest on debt to be offset against income – this is a standard worldwide business accounting practice and its shocked the hell out of everyone – including seasoned accountants how the government have had the gall to try this. It will exacerbate the housing crisis by creating a rental housing crisis and skyrocketing rents. Buy to Let investors will simply not be able to afford to fill the rental demand gap because it’s not economic anymore to borrow money to finance rental purchases. There will be a small cadre of super rich cash buyers that will be making massive profits and the small buy to let investor that of course needs to borrow money to invest will have to sell up because of the punitive taxes. Yes – it’s absurd that a tax should force Landlord to evict tenants – and convert them into holiday homes instead. That of course will mean more voids, waste and more residential supply shortages. There is some talk of buy to let investor that have more than 15 properties being exempt from the new tax measured – and if this indeed is the case, then another plan is to increase your portfolio to 15 or more. Another strategy it to convert your larger properties into smaller flats and units to increase income to pay for the higher taxes. There is plenty of demand rooms and small flats in London in particular – so London investors would be wise to consider this. It might be the only way to make a portfolio economic. Stamp Duty Stalls Market Drives Prices Higher: Of course the additional stamp duty increases by the government – in addition to the massive stamp duty rises during Gordon Brown’s tenure – have led to a record low level of people moving. Its hardly surprizing. 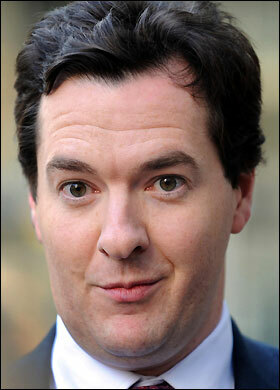 No-one wants to loose £50,000 in tax every time they move. Of course many people that have moved have decided it’s so costly selling and so risky selling – that they have kept their property and are now letting it out. Not exactly an “accidental landlord” – more like a sensible person that can see supply dropping and demand increasing and not wanting to lose an opportunity to see capital values increase – or be left hanging high and dry if a property chain collapses. People who own homes hardly ever move anymore or sell. They hang onto their properties. It’s been the only good investment for the last 20 years. This looks set to continue because the supply is so low. Lack of Mobility: For example, in the 1960s – people moved on average every 6.5 years. Buy 2005 this had risen to every 19 years. Now it is running at about every 28 years – yes, quarter of s century. We really don’t like change it seems – or may be the trust this – we don’t like giving money to the tax man in the form of stamp duty so we done move anymore. It has sent sales levels to record low despite record demand and record population growth. Again, another un-intended consequence of punitive taxes. · Educate the British to be less Nimby in their attitudes to new homes – people need to live somewhere – refer to the post war building boom in the 1960s – no-one seemed to complain about those now desirable 1960s semis and detached housing estates in suburban and countryside areas. 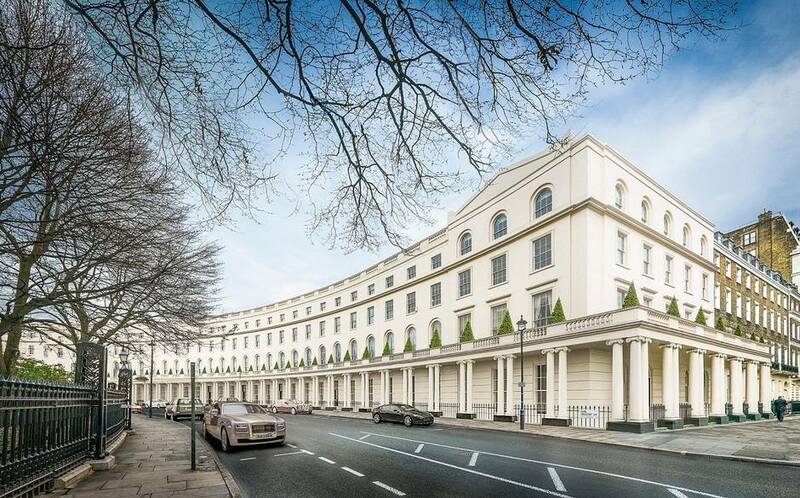 · In London, they should have exhibitions showing how beautiful spacious brick built 5 story mansion blocks are – like we get in Barons Court, Hammersmith and Fulham. On this point, Prince Charles is right to point out this type of property – along with small communal gates garden courts – could help provide a nice environment for families and single people and regenerate commercial areas with attractive high density homes. Type of Property - Mansion Blocks: All the London tower block being planning seem to get huge opposition. The cheapest flats seem to be over £1 million, they are ugly and cast huge shadows over other property. The density of homes in London is about four times less than Paris. London is full of small terraced town houses with gardens – very nice places to live – like urban villages and with huge parks – which is one reason why London is so popular with overseas wealthy visitors. People love the parks, low density homes and space. But unfortunately something has to give. And its best to try and build 5 story brick mansion blocks as central or as close to railways and tubes as possible – on disused or commercial land. This could be railway sidings, old warehouses, factories, school playing fields, scarp yards etc. London ned to build 100,000 homes a year – not 35,000. And they need to cost £400,000 each - not £1.2 million. Money Printing Again: Anyone that things London property prices will crash have got to consider that – if this happened – it would signal deflation and recession for the UK economy as a whole. So what would be the response by the Bank of England and Tory Government? Print money of course, this would then rapidly feed its way onto property again and cause another huge property price rise. North Sea Tax Example: It’s worth noting Chancellor Osbourne’s response to high oil prices in 2011 was to massive increase North Sea taxes. This immediately lead to a 25% crash in oil production the following year – and the North Sea never recovered. Then the oil price crashed from $100/bbl to $30/bbl – and the government has given close to zero support to businesses and all those oil workers that have lost their jobs in Aberdeen and NE Scotland. They have not reduced the tax burden, and have summarily killed off the North Sea oil business – with exploration drilling crashing to 20% of its former level. Oil revenues have crashed to a quarter and lead to increasing government deficits. Yes – the law of un-intended consequences. No reduced tax take despite an oil price crash and oil businesses going bankrupt. This could also happen if Buy to Let suffers from higher interest rates - its our belief the taxes would not be reversed even if landlords start to go bust in large numbers - it punitive and will only get worse. How Tax Will Be Disastrous for Buy To Let Businesses: Now they set their sights on Buy to Let Landlords – and will hugely adversely effect these businesses as well. An example is – already the Bank of England is getting concerned about the financial risks of Buy to Let – is it any surprize when Landlords are being taxes and regulated to death? Yes – Landlord the tax burden and financial stability will of course reduce. Don’t hammer Landlords once (tax on borrowings), twice (stamp duty) then with the Bank of England (more regulation) for the third time. Its probably time to “get out” of the buy-to-let business frankly – because a business is by definition something that produces a profit – and the government will tax borrowing costs – wow – that’s incredible! This means Buy to Let will be more like a social charity – it will cost money to let out to tenants, so owners will indeed sell up exacerbating the rental crisis, particularly in London. Housing overall will get a lot more expensive to pay for all these taxes. Housing costs will rise, property prices will have to rise as fewer people move and rental prices will rise. Building costs will rise as competition reduces. Trillions Into Property: We warned back in 2009 the ramification of the Trillion pounds of printed money would be hugely increasing London property prices as the super-rich loaded up on bricks and mortar – and this is exactly what has happened. Then the associated trickle down and ripple out effects – so even Dagenham property prices are rising at 15% a year now. As soon as this cycle has ended, another one will take its place. Yes, prices could dip for a while, but then they will always rise sharply as the pound depreciates and they print more money. That is why property is such an excellent hedge against inflation- that we have seen over the last century. Any doubters should recall that in 1990 a Fulham flat cost £60,000 – the cheapest flat now in Fulham costs £400,000. Inflation Long Term: Back in 1962 a new home in Cheshire could be built for £3000. A similar property would cost £300,000 to build now - a hundred-fold increase (that’s a 10,000% increase). 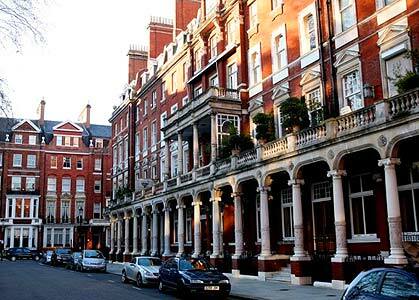 In 1999, a London flat cost £80,000 – it now cost £400,000. There is no escaping the inflation and in ten year’s time, it’s likely the average London home will cost about £850,000 – rather than today’s £525,000. Tory Government Increase House Prices: Finally – the general property trend is one where prices will rise further and faster under a Tory government than a Labour government, primarily because house prices are linked to employment and employment will be far stronger under a Tory government. There is a general switch to a small public sector and larger private sector that is more sustainable because of lower debt levels, string currency, lower general inflation, lower borrowing costs and hence higher property prices and easier mortgage finance. As the Labour party has implodes in the last 9 months, house prices have strengthened as confidence improves. The threat of a Labour victory is now a distant memory and it’s takes a huge amount of imagination to believe Labour could ever get in power with either Corbyn or any other candidate they may have in the wings. As the Tories grip on power increases, house prices are likely to strengthen with it – particularly in the Tory heartlands of middle England and SE England where the public sector is smallest proportional to the public sector. The areas that will suffer most from continued Tory government area remote western and northern areas, the smaller northern cities and areas with very high levels of public sector jobs like Newcastle, North Wales and most of Scotland.